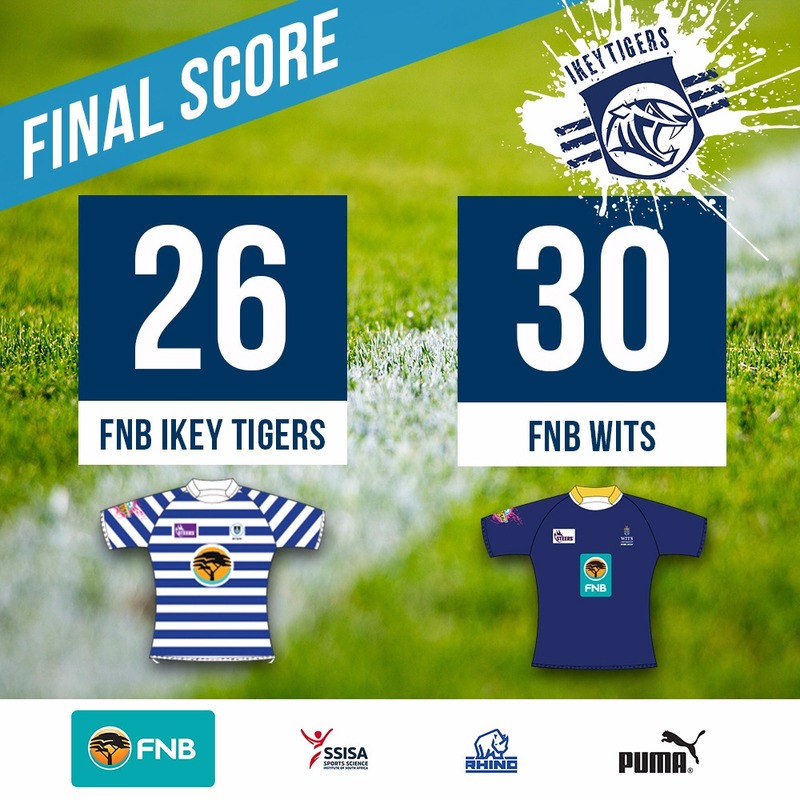 UCT Ikey Tigers Rugby Club - UCTRFC | FNB Wits outwit FNB UCT! FNB Wits outwit FNB UCT! You are here: Home / History / FNB Wits outwit FNB UCT! The first round of FNB Varsity Cup 11 kicked off with a thrilling encounter between FNB UCT and FNB Wits at the Green Mile in Cape Town on Monday night, which saw the home side pipped at the death by the visitors 26 -30. FNB Wits were the first side to register points on the scoresheet with eventual Man of the Match winger Kasenda Kapepula scoring a spectacular seven-point try from deep within his own half. FNB Wits flyhalf Christian Humphries made no mistake with the conversion to take his side up to 9-0. FNB UCT then clawed their way back into the game with ferocious physicality in defence. The forwards were able to turn that defence into attack after some great territorial kicking by flyhalf Darian Hock. The lineout drive that followed resulted in a simple five-point try for Nyasha Tarusenga with Karl Martin slotting the conversion. The forwards continued to assert their dominance on the field by controlling the set pieces throughout the first half. This resulted in a penalty try, awarded after a powerful scrum forcing the FNB Wits side to capitulate under the sticks. The halftime score ending 14-9 to the home side. FNB Wits came out of the change room fired up, with captain Constant Beckerling leading by example and crossing the whitewash for his side. FNB UCT then opted to retaliate by calling their powerplay. They may not have scored within the three minutes, but the momentum gained led to a seven-point try scored by fullback Karl Martin which he easily converted. The team’s lead was up 23-16. FNB UCT looked to put the final nail in the coffin by slotting a penalty 12 minutes from time to take the lead up to 26 – 16. The visitors had more in the tank in the dying moments of the game, though, as two quick fire tries inspired by Kapepula again led to tries, scored by Chris Hume and AJ Van Blerk. The final scoreline was 26-30. Reflecting on the game FNB UCT can take a lot of positives out of their tenacious display of defence throughout most of the game. Should the few lessons learned into their next fixture they’ll be sure to put up a strong fight against their next opposition, FNB Madibaz on 5 February at 16.45. This game will be live on Supersport 1. Join us at the new-look Ikey Pub in support of our men in blue and white.